Educate workers about recognising the early symptoms of cold stress. Encourage the removal of personal protective equipment when resting to help encourage heat loss. When the body is unable to cool itself through sweating, serious heat illness may occur. The most severe heat induced illnesses are heat exhaustion and heat stroke. If actions are not taken to treat heat exhaustion, the illness could progress into heat stroke and possibly death. The long-term effects of heat stress include chronic heat exhaustion or birth deformities and other reproductive problems. Personal Protective Equipment The use of cooling vests, uniforms made from breathable fabric. Light colours, sunscreen, sunglasses and hats for outdoor work. Heat rash – The symptoms of heat rash include excessive sweating, resulting in the sweat gland becoming blocked and therefore reduces your ability to sweat more and lose heat. Heat Exhaustion – The symptoms of heat exhaustion are headaches, dizziness, light headedness, weakness, mood changes (feeling irritable or confused), vomiting, decreased and dark coloured urine, fainting and clammy skin. If heat exhaustion is not treated, the illness may advance to heat stroke. Heat Stroke – The symptoms of heat stroke are dry pale skin (no sweating), hot red coloured skin (looks like sunburn), mood changes (feeling irritable or confused), seizures, fits, collapse and unconsciousness. All cases of heat stroke must be taken seriously as there is a high risk of death resulting from a lack of treatment. Medical attention must be sought as soon as possible. All cases of heat stroke must be treated as an emergency and the patient taken to hospital. Our bodies are unable to acclimatize to cold in the same manner that they can adapt to heat. When the body is unable to warm itself, serious cold-related illnesses and injury may occur and permanent tissue damage and death may result. Cold related illness can slowly overcome a person who has been chilled by low temperatures, brisk winds or wet clothing. Cold stress is associated with low temperature, high air movement and humidity, for example, from a blast of cold, wet wind. Lowering of body temperature (hypothermia) has an effect on the brain, causing erratic behaviour and numbness, muscular weakness and cramps. Hypothermia can occur when land temperatures are above freezing or water temperatures are below 37° C. Its symptoms are fatigue and drowsiness, uncontrolled shivering, cool bluish skin, slurred speech, clumsy movements, irritable, irrational or confused behaviour. Localised exposure to cold may cause frostbite and chilblains. Frostbite occurs through freezing in deep layers of skin and tissue causing waxy-white skin, skin becomes hard and numb and usually affects the fingers, hands, toes, feet ears and nose first. Long-term effects of working in the cold include arthritis, rheumatism, chest complaints and heart disease, because of the strain on the heart caused by circulatory changes. All cases of cold illnesses must be taken seriously and medical attention must be sought as soon as possible. All cases of frostbite must be treated as an emergency and the patient taken to hospital. Identify the environment and workplace conditions that have the potential to lead to cold induced illness and injury. Employees should learn the signs and symptoms of cold-induced illnesses and what to do to the affected person. Select appropriate clothing for cold, wet and windy conditions. Layer clothing to adjust to changing environmental temperatures. Take frequent short breaks in warm dry shelters to allow the body to warm up. Avoid exhaustion of fatigue because energy is needed to keep muscles warm. Drink warm, sweet beverages and avoid drinking caffeine or alcohol. Eat warm, high calorie foods like pasta. – Those with predisposing health conditions such as cardiovascular disease, diabetes and hypertension. – Those taking certain medication (check with your doctor and ask if any medicines currently being taken by yourself could affect you while working in a hot/cold environment). – Those who are in poor physical condition, have a poor diet or are elderly. 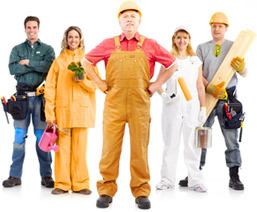 – Outdoor workers such as construction and building workers, gardeners, etc – particularly during summer months. Safeguard from Safework SA identifying the causes, effects and ways to deal with heat stress. Information from the Canadian Centre for Occupational Health and Safety.